We are excited to announce that this weekend our footage will be aired on the TV show Sea Rescue on ABC, check your local listing here. 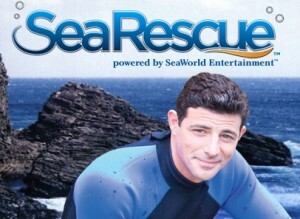 Sea Rescue is a 30-minute show which showcases stories of rescue, rehabilitation and return to the wild of marine animals by a team of dedicated vets, animal care experts, animal science researchers and government authorities. We just happened to be in the right place at the right time and film a manatee named Streak being rescued. Here is a preview of the show, be sure to tune in!